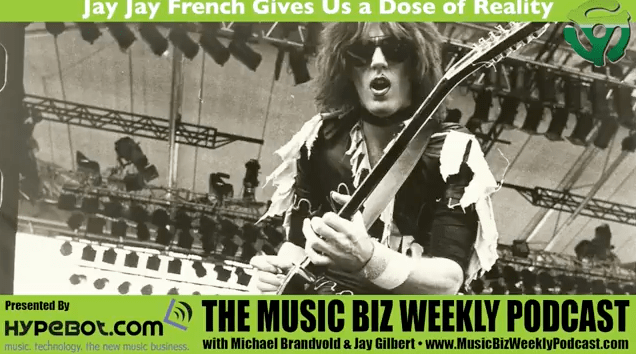 Jay Jay French from Twisted Sister gives us a dose of reality about the music business. French is most famous for his role as the founding member and one of the guitarists of the heavy metal band Twisted Sister. Since his first performances with Twisted Sister, French has played more than 9000 concert performances. Being an avid runner, French has also completed two New York Marathons, in 1981 and 1986. As a guitar player, manager, producer and executive producer, French has sold over 20 million albums, performed in 34 countries and performed live over 9,000 times.